An intervention is the first step to recovery, it is important to bring about change in your loved one. Helping someone get sober and give up alcohol for good often means working with their family first. Sober-Academy is delighted to present its signature training programmes, Professional Interventions for Addictions and Behavioural Health. This 3 day training will give you a full insight into how to work with the family to guide clients and bring about the willingness to accept the help they’re being offered for treatment and recovery. Learning Objectives for the Certified Intervention Training. You will learn a loving and safe process you can use for your Interventions around the globe. Learn a proven international intervention model to assist people into treatment, even when they’ve resisted in the past. Learn the latest in substance abuse and behavioural health. Understand how to assist families/colleagues/friends to create healthy relationships with loving boundaries. Learn how to form a deeper understanding of the commitment family members and friends need to help their loved one. Learn how to assist clients into treatment, even when they say they’re not interested, or are still in denial. Discover how we can work with families to bring about real, permanent change which can have a long lasting effect. Experience this powerful process to help even more families into recovery. 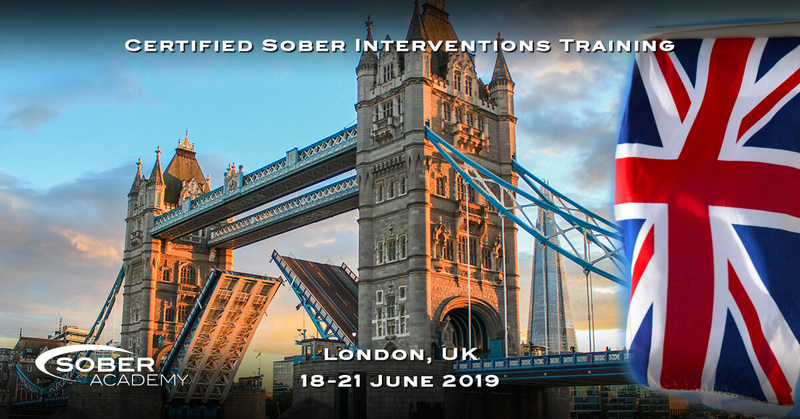 Sober Academy's Certified Intervention Training will teach you how to guide families and help their loved ones to accept the treatment you’re offering them with grace, by showing you the loving and safe processes interventionists use in Western Europe and North America. 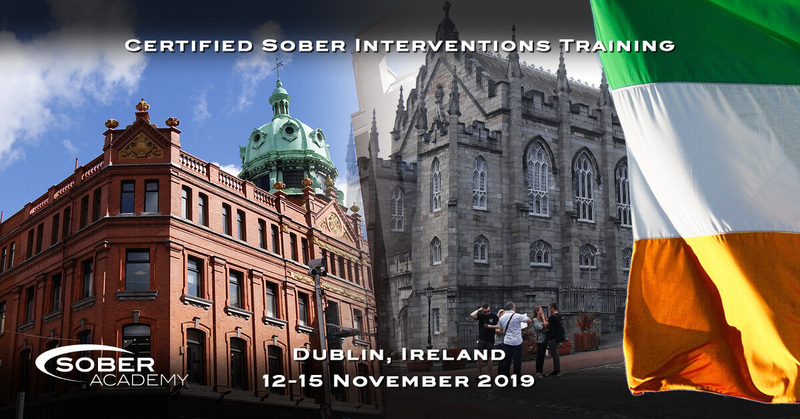 Following the very successful Certified Recovery Training, Sober Academy is excited to return to Dublin to present its Certified Intervention Training. 12-15 November 2019 - Clockwork Door, 51 Wellington Quay, Temple Bar, Dublin, Ireland. Sign up here to keep up to date for our special offers and our future training and events. Interventions are either direct, typically involving a surprise meeting with the afflicted individual in question, or invitational, involving work with a co-dependent family to encourage them to be more effective in helping the individual. The use of interventions originated in the 1960s with Dr. Vernon Johnson. The Johnson Model was subsequently taught years later at the Johnson Institute. It focuses on creating a confrontation between a group of supporters and the addict in order to expose the addict to the consequences of their addiction. The confrontation serves to precipitate a crisis in the addict's life that is not threatening, damaging, or fatal, and is used to compel them into treatment before they are able to suffer irreparable social or physical damage as a result of their disease. The Arise Intervention Model involves exposing the addict and their family members to a collaborative intervention process. Rather than being confrontational, the Arise Model is invitational, non-secretive, and a gradually-escalating process. The Systemic Family Model may use either an invitational or confrontational approach. It differs from the Johnson Model in that the focus is on fostering a patient, firm coaching instead of creating a negative confrontation. Rather than focusing on the addict, the interventionist fosters discussion with the entire family on how their behaviour contributes to the addict’s continued abuse of substances, and how to approach the problem as a family unit. While some interventionists will prescribe to one of the above models over the others, many are able to blend the three models based on what will be most effective for the addict and their family. This new model is called Sober Intervention and was created from a need of working culturally and with dual diagnosis. Are you interested in Sponsoring event to market your brand.